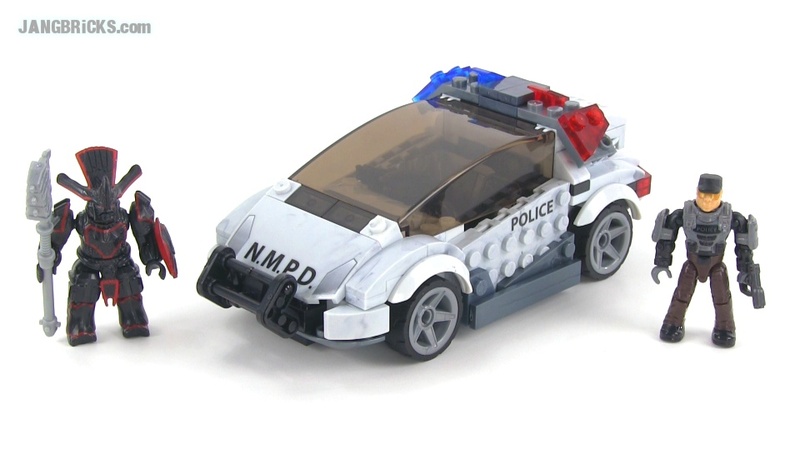 Gear up for a wild car chase with the new Police Cruiser Standoff by Mega Bloks Halo. With conviction, the New Mombasa Police Department Trooper faces off against a Brute Chieftain in a battle that will see both sides struggling for victory! The new fully buildable Police Cruiser, with strategic weapons rack, lets you create the battle like never before! Hey Jang how much is this set going to cost? It costs around 20$ in the U.S.